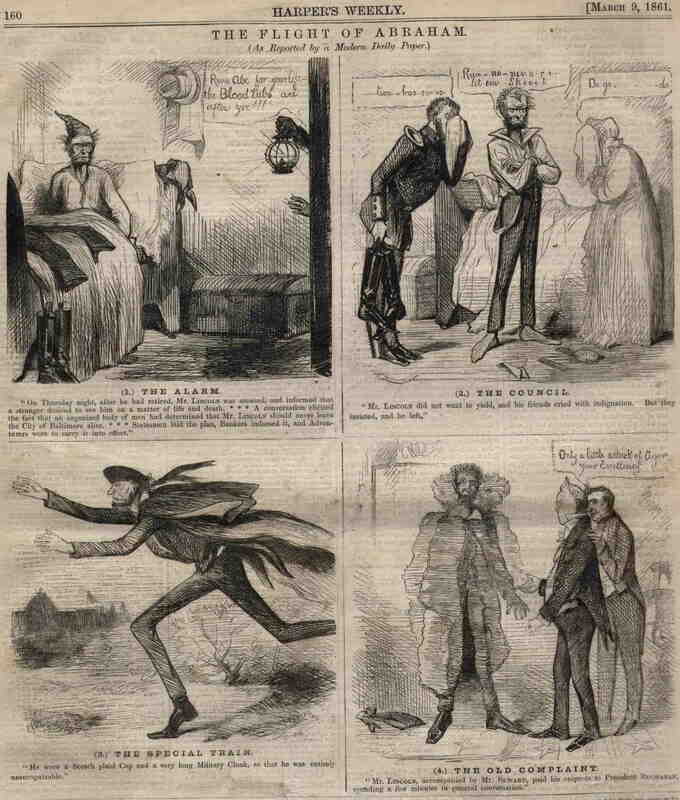 Depiction of President-elect Lincoln, sneaking into Washington. From the back cover page of�volume 5, issue 219, of Harper's Weekly�(March 9, 1861). The artist is John McLenan.��Finally, probably the least/most arguable one in the set (depending on your angle), due to the heavy text beneath the panels, in addition to teh word balloons inside.�But, in THIS case, I'd argue that it is the text beneath which is extraneous -- mere quotings from news reports -- while the word balloons inside are enough to convey the story by themselves.